The second version of the head is still under development and will be more of an AI experience. She will be able to converse and answer questions by searching answers from both a programmed database and on the internet. 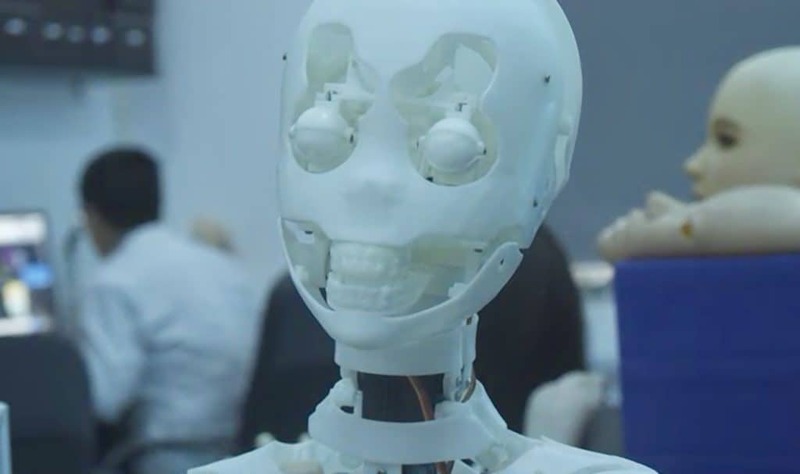 She will have neck movement and be automated to blink, nod her head when she understands and listen for you speaking to her. The Chinese version of the voice control is already completed. She will also be able to control IOT devices within the home such as heating, air con and lights. She will not be self thinking or have an automated body as far as current development is at this time. English and Japanese Language versions will also be developed to cater for other markets. DS Dolls are hoping to develop the doll to be able to move her neck to look around and follow sound.